One of the halflings carries something of great value. Bring them to me alive and unspoiled. Saruman giving instructions to the Uruk-hai leader on what he wants done to the Fellowship. Hello again Free Folk of Middle Earth and welcome once again to another installment of the Hobbit Hollow Construction Blog! Glad to have you back and thanks for hanging in there. It’s been another fun filled week on the home front. Both Jude and the Editor were sick for a good portion of the week and into the weekend. So I stayed home Saturday holding the fort if you will in case they needed anything. I was glad I did. Not that they needed much but it was good just being around. So what I thought I’d do was show some pictures and kind of keep it simple this week is all. 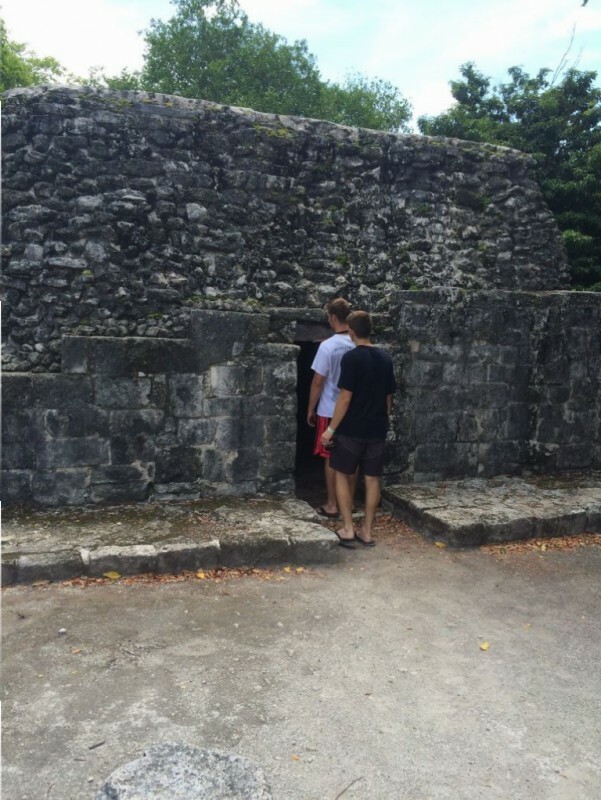 So on vacation we did go to see a couple of ancient Mayan archeological sites that were very interesting. 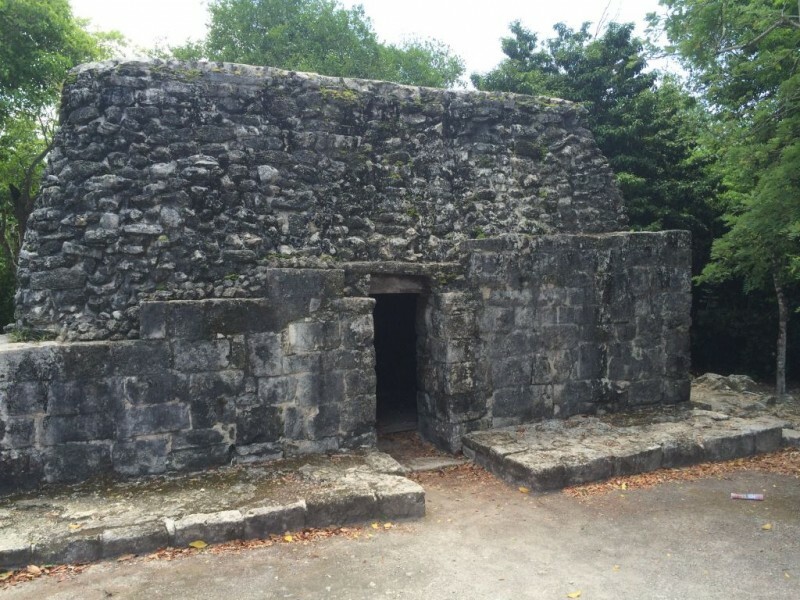 The one on Cozumel is called San Gervasi and the one on the Mexican mainland was called Tulum. I’m not going to get into the history and all but the way they built things was pretty interesting. 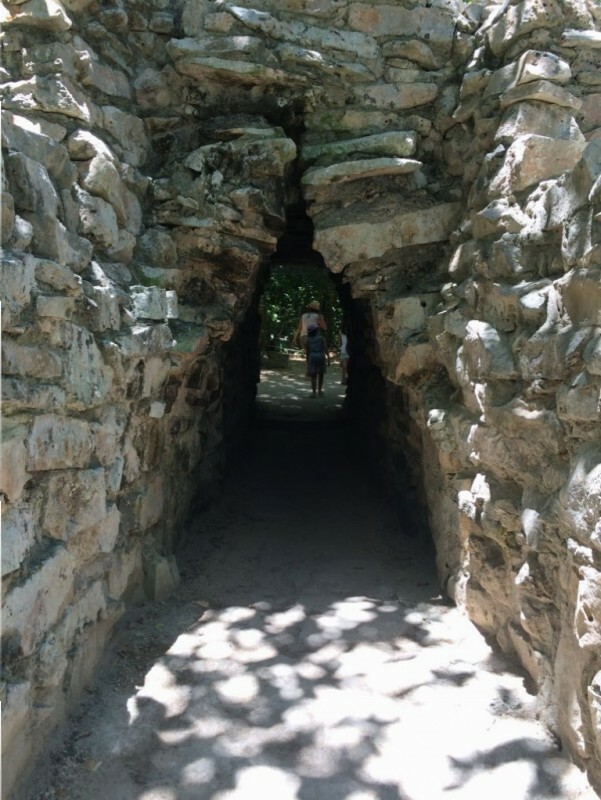 The Tulum site was sort of a mainstream tourist trap that was geared up for a lot of visitors. It was pretty crowded. 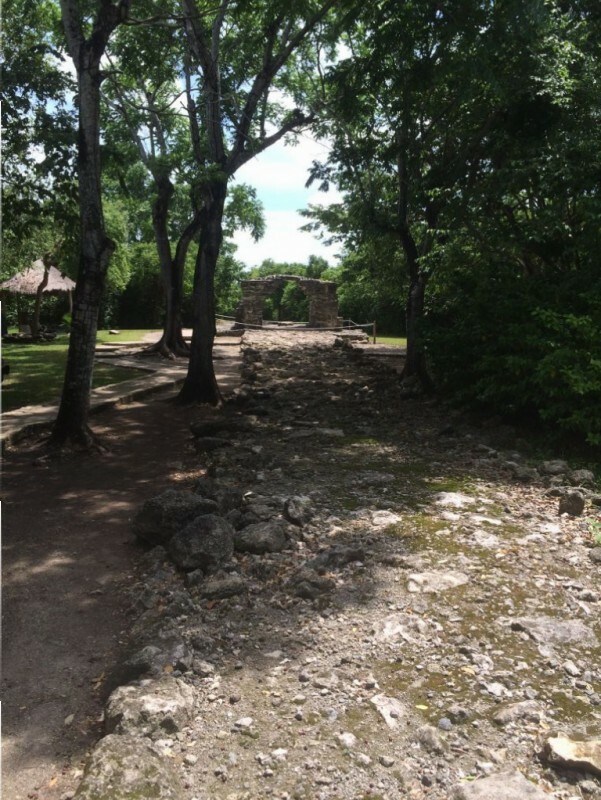 The site at San Gervasi was a bit more off the beaten path and you had better access to the actual structures whereas the Tulum site everything was cordoned off with rope. Check it out. It’s hard to get the scale but the doors are small. They must have been a very short people. Terence and Ethan entering the house. So these two are right around 6 feet tall. You can see that the people who lived here must have been a half a head taller than a Hobbit! Mayan sacrifice to the gods. It was kind of good. 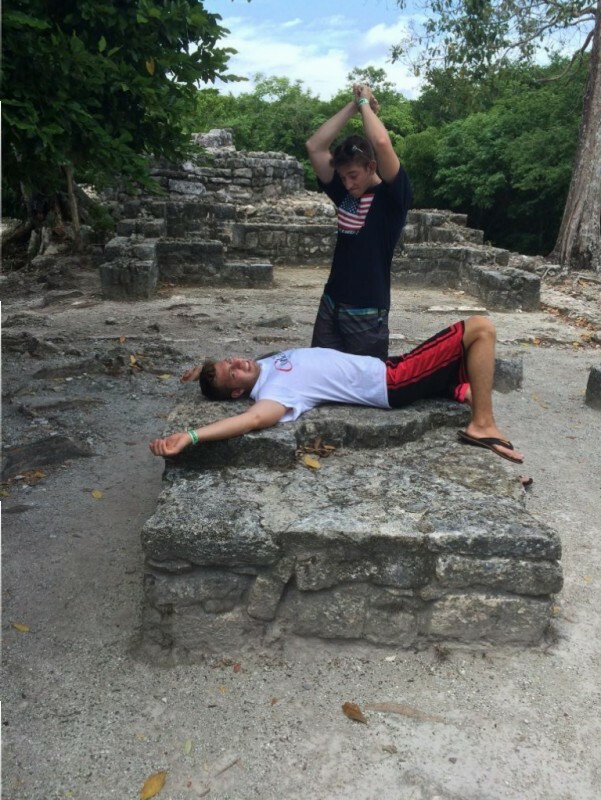 We made a traditional Mayan sacrifice and we got our entry fee back. Not such a bad deal! So I thought that this was pretty cool. This was a road that went through the site. Made of stone. I had heard that some of the roads on the mainland were over 60 miles long. This was also the first toll road ever. That arch you see in the distance is the toll plaza if you will. The Mayan who set this up, his descendents now run the Port Authority of New York and New Jersey. 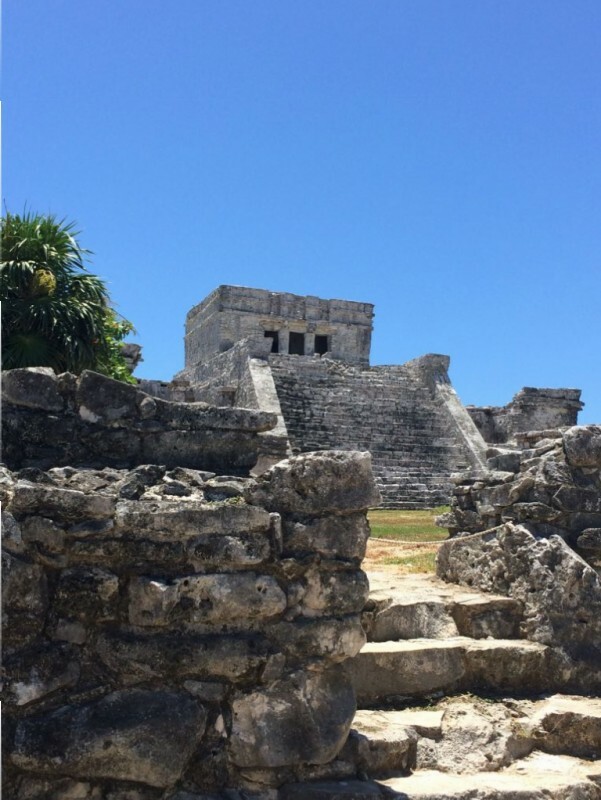 The main structure a Tulum. I really wanted to walk up these steps but this was as close as you could get. Archway through the perimeter wall. 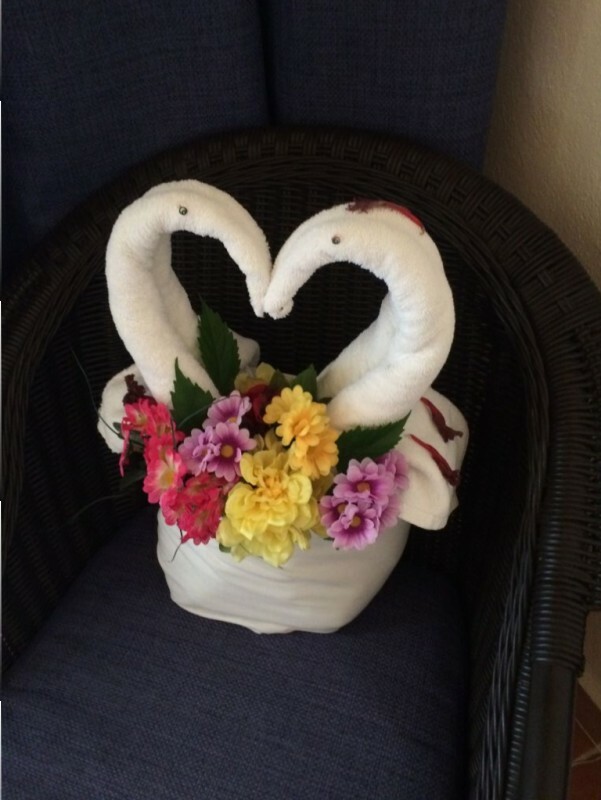 The maid at our place made this and a bunch of other creatures out of our bath towels. So creative. I hope I didn’t bore any of you with my pictures. The ruins were pretty cool to see and of course me being a Lord of the Rings nerd I’m always thinking about how the great civilizations of Middle Earth were destroyed. Fact is stranger than fiction and I couldn’t find a good book on the Mayans and their demise. The three stooges (Ethan, Jude, and Terence) are pretty good history buffs and filled me in wth their knowledge of the Mayans and what happened to them. It’s very interesting and sad at the same time. Off the subject: Found a bunch of droppings on the floor of the Hobbit House in a reoccurring spot. No visible creature or nest though. I’m thinking a bat. From the look of all these droppings this must be some monster bat! Not seeing one though. I tasted the droppings and it really doesn’t taste like bat sh_ _. Hmmm. A bit on the sweet side. I really must be cracking up. Have a great week and I’ll talk to you again nest week! The Metamorphisis……….and What About Very Old Friends???? 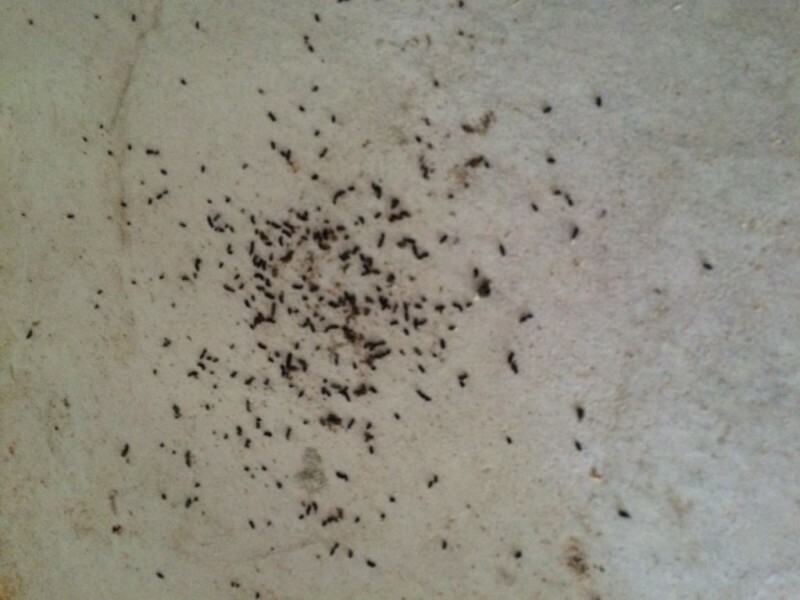 Most often bats hang out in groups – colonies – so these may be the droppings of more than one. Not that I can tell you if these really are bat droppings, because I have no idea. But if they are they are really height in nitrogen (from the exoskeleton of the insects bats eat) and make great fertilizer. People actually mine bat guano (droppings) for that purpose. Hi sally thanks for writing as always. I’m hoping to get over to the house this weekend and have a better look see. I have heard that about the droppings as well.